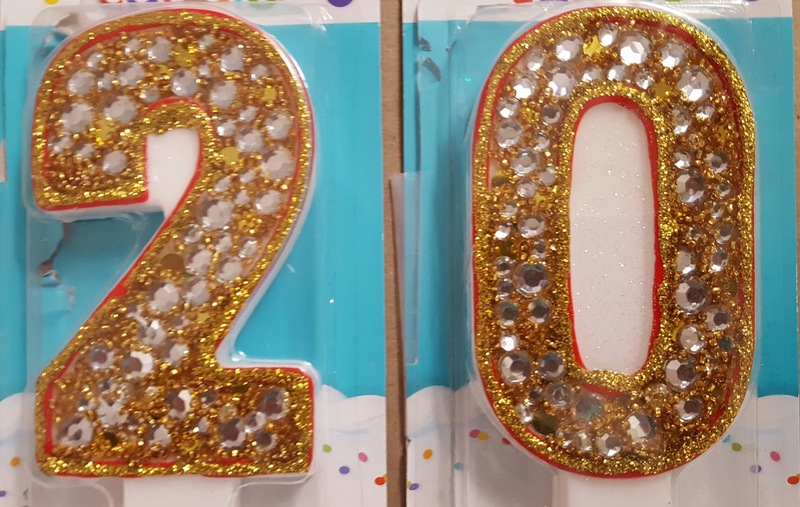 Lorena's Altered Art: Birthday Candle Bling! 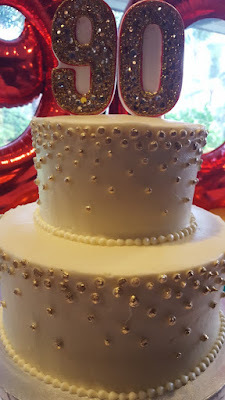 In September, a dear friend of ours was celebrating a very special 90th birthday. He insisted that no gifts were allowed, but he didn't say anything about giving him a birthday cake! Over the past year, I have ordered several cakes from Magnolia Bakery. Abigail, (Magnolia's Regional Director of Operations), has become a fast friend and she didn't disappoint when she created this elegant two-tiered cake for the occasion. Since the colors for the party were cream and gold, I thought it would be fun to create the cake topper with a very blinged-out "90!" 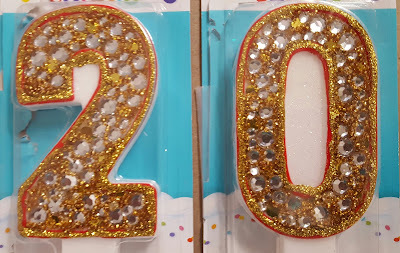 Abigail loved the blinged-out birthday candles and asked if I would make a set to display in the Bakery. 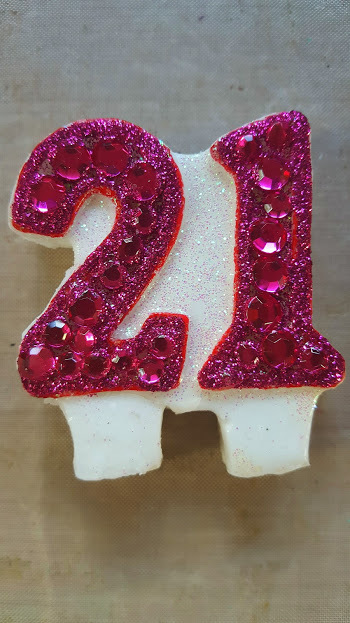 I made the "20" in honor of Magnolia's 20th anniversary and created this additional magenta "21" for Abigail after I found the candle at a thrift shop!